Producer David Heyman and STUDIOCANAL are delighted to announce the start of principal photography for Paul King’s highly anticipated PADDINGTON 2, revealing that Hugh Grant and Brendan Gleeson join the all-star returning cast of Hugh Bonneville, Sally Hawkins, Julie Walters, Jim Broadbent, Peter Capaldi, Madeleine Harris and Samuel Joslin with Ben Whishaw as the voice of Paddington and Imelda Staunton as Aunt Lucy. 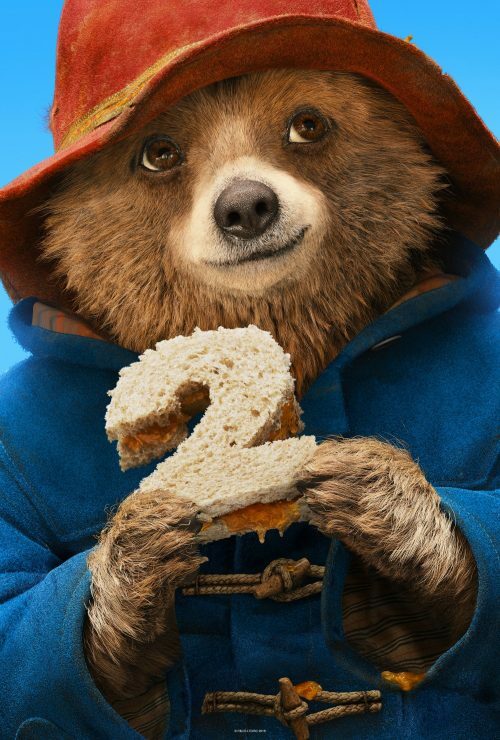 PADDINGTON 2 is now in production. Hugh Grant plays Windsor Gardens’ local celebrity, PHOENIX BUCHANAN, a vain, charming acting legend whose star has fallen somewhat in recent years. Grant is a Golden Globe and BAFTA winner, best known for his memorable performances in films like LOVE ACTUALLY and ABOUT A BOY, and was most recently seen in the critically acclaimed Stephen Frears’ comedy drama FLORENCE FOSTER JENKINS opposite Meryl Streep. Brendan Gleeson plays “KNUCKLES” MCGINTY, a notorious safe-cracker and legendary strongman who becomes an unexpected new ally for Paddington. Gleeson received an Emmy award for his portrayal of ‘Winston Churchill’ in HBO’s ‘INTO THE STORM’, and a Golden Globe nomination for IN BRUGES. Other recent credits include the HARRY POTTER series, EDGE OF TOMORROW and CALVARY. Upcoming features include Ben Affleck’s LIVE BY NIGHT, ASSASSIN’S CREED, ALONE IN BERLIN opposite Diane Keaton and TRESPASS AGAINST US opposite Michael Fassbender. A Heyday Films and STUDIOCANAL production, Paddington’s return to the big screen is helmed by BAFTA nominated director Paul King (PADDINGTON, COME FLY WITH ME, THE MIGHTY BOOSH) written by Paul King and Simon Farnaby (PADDINGTON, YONDERLAND and the forthcoming MINDHORN).